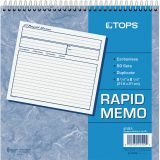 TOPS Rapid Memo Book - Use spiral-bound memo book to make quick memos. 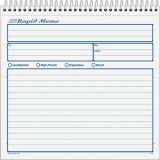 Ruled areas include plenty of room for multiple recipients, the date, subject and notes. Preprinted prompts specific memo status: confidential, high priority, proprietary and shred. Each two-part set includes carbonless paper. The original memo is easily removed from the book and given to the correspondent. You can also fold original in half to send in a No. 10 window envelope. 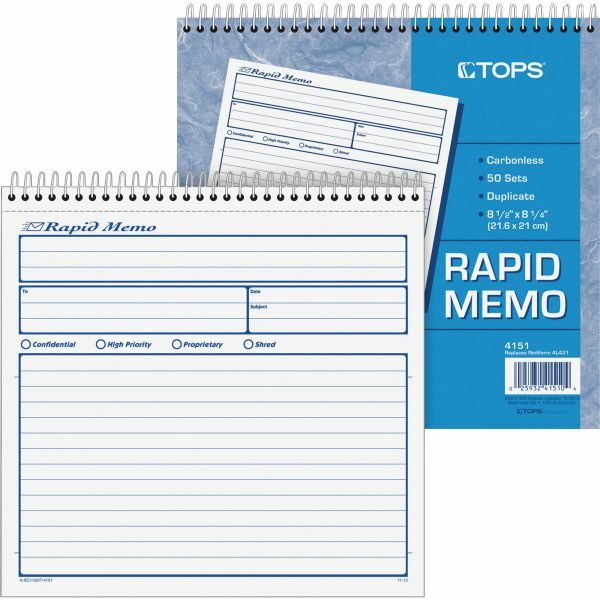 The duplicate copy may be left bound in the memo book in chronological order or may be cleanly removed.